It’s been a long, difficult, and Cajun-seasoning-filled journey for the standalone Gambit movie. 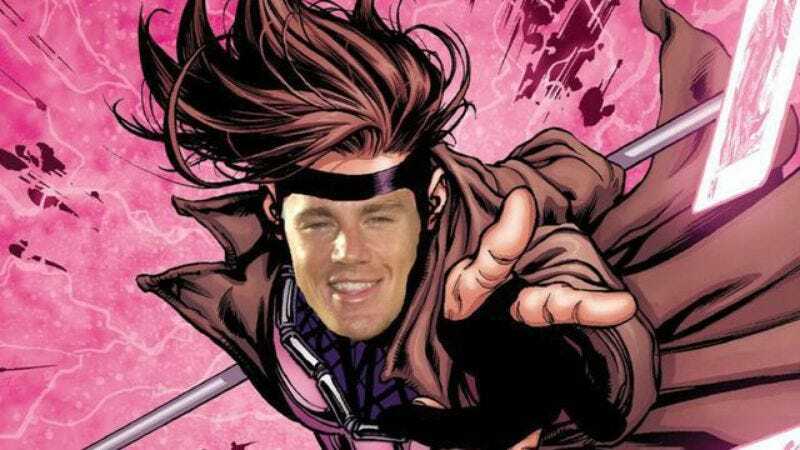 The X-Men character has been in feature-film development for years, and no one has been a bigger champion of the mutant card sharp than attached star Channing Tatum, possibly because no one else is excited to hear a guy drop the laziest possible New Orleans patoi into cinematic dialogue. But the Jump Street actor has held fast through director Rupert Wyatt dropping out, then subsequent director Doug Liman doing the same. The project has been quiet since last fall, all those “cheres” and “mon amis” silenced by the grim machinations of Hollywood. But at the TCAs last week, X-Men producer Lauren Shuler Donner assured everyone that, yes, the plan is still to film Tatum throwing playing cards charged with explosive energy, thereby fulfilling the actor’s dreams of finally portraying the 23rd most popular X-Man. Donner was there to promote Legion, the upcoming FX series we’re all pretty excited about, but took some time to address the state of the big-screen Gambit adaptation. Even after Liman’s departure last year, the film was still scheduled to begin production this spring, but given the last of a release date or, you know, a director, that seems unlikely. The producer also stressed that she’s open to the idea of a Deadpool/Wolverine team-up movie, which makes sense, given that producers, like many of us, probably enjoy the idea of making boatloads of money. Also, it’s a howl of defiance against Hugh Jackman and his long-stated wish to finally—at long last—sheathe those claws and rest.